Maintenance and Repair or Capital Project? Our architects and project managers have made significant progress in the construction planning phase of the District’s $52.9 million capital project. 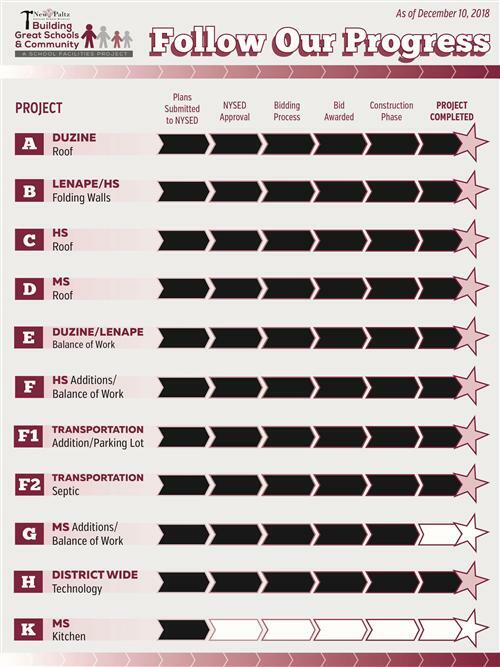 The full scope of the Capital Project has been divided into 11 smaller projects for planning and management purposes. Tentative budgets for each project have been estimated. (Reminder, these numbers are only estimates and will not be final until work is complete.) News and other information the project will be posted. The Board of Education also receives regular updates from its construction/architect team. These presentations are organized by date in the bulleted list to the left.